A hospital of world-class physicians with advanced care and treatment should be privy to the same eye-catching interiors as chefs, hoteliers and retailers…don’t you think?! (They went to school long enough to deserve a little something extra!). Spa spaces, an extension of wellness and healthcare, are designed specifically to exude relaxation and the feeling of “ahh.” Hello hospitals… time to tap into creating the same mindset through interior lighting and design. 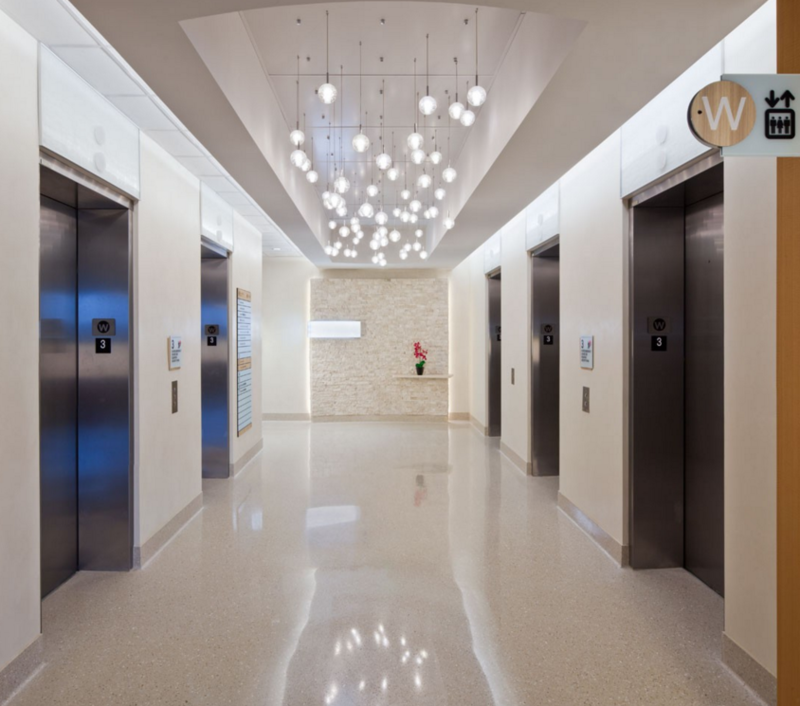 Yellow Goat Design did just that for the Florida Women’s Hospital using our “Marbles” pendants. The image below gets the same reaction every time….”Woah…that is a hospital?! It looks like a spa. I wouldn’t mind being in that space!” Owners…are you listening?!?! The people have spoken! In collaboration with architecture and design firm VOA in Orlando, we helped create a chic and serene environment that is not only welcoming, but healing, for women of all ages. Each “Marble” is made of solid glass and lit by a 1.2W LED bi-pin. The glass is coated in a reflective chrome finish and suspended via a ceiling escutcheon with a mirror finish for added sparkle and reflection in the space. Shown here in a warm color temperature (but of course can be cool per your specification!). All of Yellow Goat Design’s products are custom and built to order so the sky is the limit! 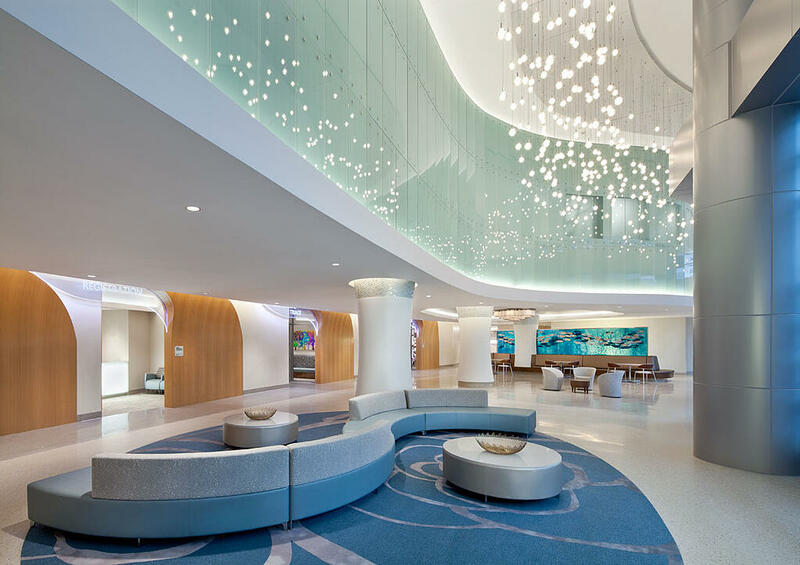 Our “Marbles” are featured not only in the lobby of the Florida Hospital for Women but also the elevator lobbies to provide sense of place and way finding. The NICU unit will feature YGD’s “Fireflies”…stay tuned, more photos to come! Our hope with this project is to tap into that sense of spa and “ahh.” Who wouldn’t want to hang out in this hospital (usually says no one ever! )- except this time! As innovators, we are up for the challenge of changing healthcare interior’s bad rep. Looking for an inspired custom lighting design for your next healthcare (or any other industry) project? Contact Yellow Goat Design and let’s rock and roll!